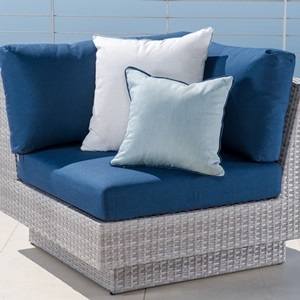 This Portofino Comfort Chaise Lounge Set is the ultimate in comfort and value when it comes to relaxing outdoors. 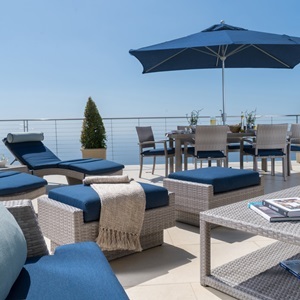 Elegant and ergonomic design features a gentle wave shape that looks great anywhere, and is the ultimate enhancement for backyard retreats, pools, decks, resorts and more. 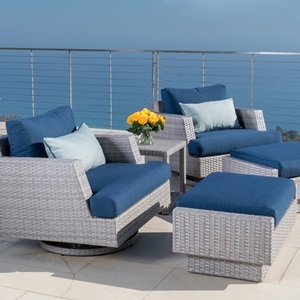 Comfortable five-way adjustable backrest and four-post fold out feet allow you to position the lounger in the most comfortable seating position. 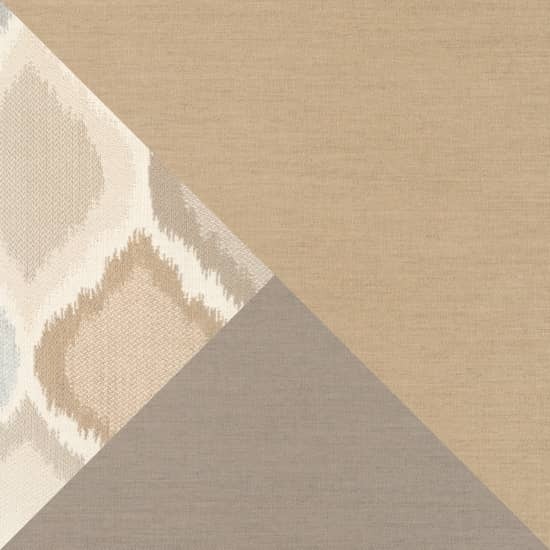 Set includes matching lounge side table to keep books, refreshments, and more within reach. Set includes two chaise lounge chairs and a folding side table. 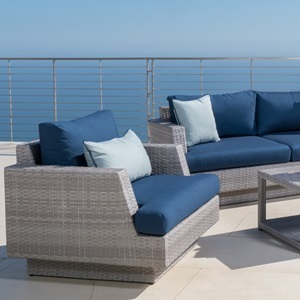 Contemporary and elegant wave design with 5-way adjustable back rest. Legs fold out to adjust to different positions, or fold away for storage.